Venice is the Capital City of the Venezia region. It is made of 550km2 of laguna and is divided into 6 districts or "Sestieri". In winter, between October and April, the phenomenom of Acqua Alta (high water) flood many parts of Venice. San Marco Piazza being the lowest part is regularly under water. Passages are then build for pedestrians. It is advised to bring boots during these winter months. Boots can also be bought at newspapers outlets if neccessary. Santa Lucia Station is the Venice Laguna terminal. 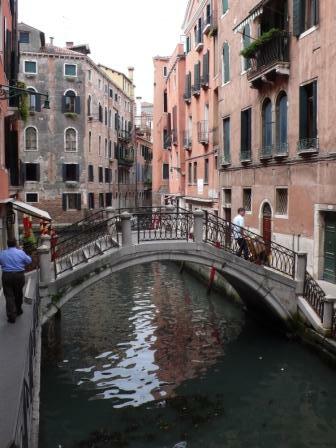 Then depending on your hotel location you can either take a walk, a Vaporetto (waterbuses and taxi boats) to reach it. Venezia Mestre Station is located on the continent. is located in Tessera, 12 km distant from the Venice Laguna. Express Buses (ACTV and ATVO lines) can be taken to reach the buses terminal Piazzale Roma in Venice in about 30-40 mn for approx. 5€. Waterbuses and water taxi prices range from 16€ to more than 100€ for a 30 mn trip. 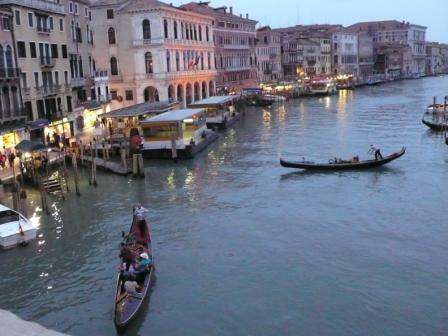 is located in Treviso, 40 km distant from the Venice Laguna. Buses departures depend on flights arrivals and last 55 mn to Venice. One of Venice Bridge on a "Rio"